This article first appeared in the St. Louis Beacon, Dec. 17, 2008 - St. Louis Jews, as well as Jews around the world, will soon celebrate Hanukkah, (sometimes spelled Chanukah), also known as the Festival of Lights. Hanukkah -- the word means "dedication" in Hebrew -- is an eight-day Jewish holiday that begins on Monday, Dec. 22 this year. Jews observe the holiday starting on the 25th day of Kislev on the Hebrew calendar, which can occur anytime from late November to late December. According to Jewish tradition, holidays begin at sunset the previous day, so Jews will begin the celebration this year on the evening of Sunday, Dec. 21. 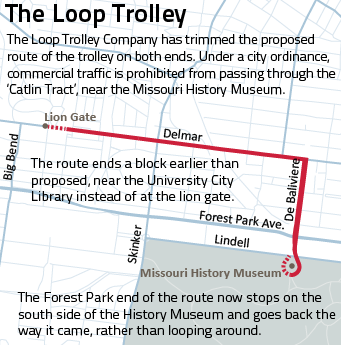 This article first appeared in the St. Louis Beacon: Construction of the Loop trolley could begin this fall and be completed next year -- despite the withdrawal of the Missouri History Museum’s $1 million pledge to help fund the line between the Delmar Loop and Forest Park. Businessman Joe Edwards, the force behind the development of the Delmar Loop and leader of the effort to build the trolley line, said the loss was only a slight bump in the road. The St. Louis area could create more jobs if a greater portion of its transportation funding went to mass transit rather than to building roads and highways, a new study by the Public Policy Research Center of the University of Missouri-St. Louis shows. On Monday Metro will restore much of the service it cut in March 2009 -- but if you assumed your bus will be back, you might be disappointed. The "restoration" won't be a time warp back to March 29, 2009, the day before Metro made massive service cuts in the face of a major budget shortfall. 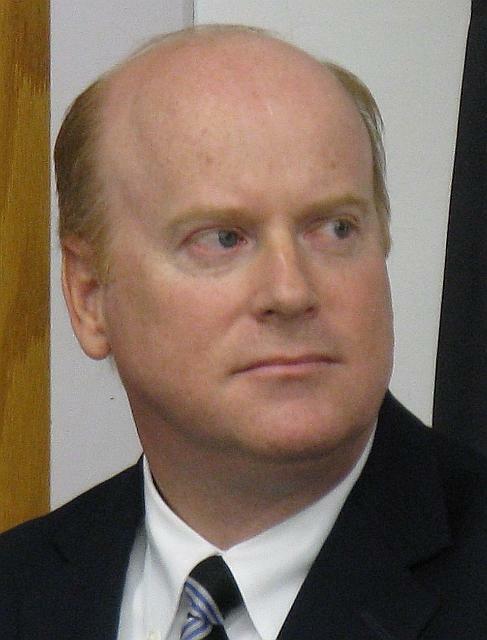 Ray Friem, Metro's chief operating officer of transit services, prefers to call Monday's change a "redefinition" of Metro's service. Nearly a month into the restoration of Metro service, some Metro riders have jumped back aboard while others are still waiting for their bus. The June 28 restoration, which Metro called a "soft launch," mainly increased frequency on MetroLink and the most crowded bus routes, said Jessica Mefford-Miller, Metro's chief of planning and system development. This article first appeared in the St. Louis Beacon, Jan. 5, 2009 - The Alton Regional Convention and Visitors Bureau is putting a new twist on that pastime that's become a winter tradition in the St. Louis area: eagle watching. Thanks to the CVB, eagle watchers can use their GPS units to find geo cached treasures with an eagle slant in a new sport called eagle-caching. This article first appeared in the St. Louis Beacon: When crews closed part of Highway 40 (Interstate 64) in January, MoDOT and much of St. Louis held their collective breath waiting to see whether the predicted gridlock would indeed occur. Thanks to good planning and the public's willingness to take MoDOT's advice to stay home, take Metro, travel early or late and find alternative routes, life — or at least vehicular traffic — went on. This article first appeared in the St. Louis Beacon, Nov. 26, 2008 - The economic ill wind that swept Barack Obama into the White House may also be the reason St. Louisans will be paying more for their bus and MetroLink rides after the first of the year. "What helped make Obama the president was probably our undoing," a senior adviser to St. Louis County Executive Charlie Dooley said, referring to the narrow defeat of Proposition M on the Nov. 4 ballot. This article first appeared in the St. Louis Beacon: November 21, 2008 - The Metro board of directors today made good on one promise it made during the recent Proposition M campaign -- it raised fares by 50 cents a ride over the next 22 months. This article first appeared in the St. Louis Beacon: October 22, 2008 - Thanks to two of the area's most popular fall events -- ARTstravaganza and Kimmswick's Apple Butter Festival -- art and apples have become synonymous with fall in St. Louis. This article first appeared in the St. Louis Beacon: October 14, 2008 - Metro, the St. Louis area's public transit system, went to St. Louis County voters and asked for a half-cent sales tax to fund the agency's operations and expand them. With 93 percent of the vote counted, it looked like county voters weren't buying. Prop M was failing: Almost 52 percent of the voters opposed the tax, while 48 percent voted for it. The tax's prospects had widely been considered shaky. This article first appeared in the St. Louis Beacon: October 14, 2008 - Updated late on Nov 4 -With 93 percent of the vote in, Proposition 1, a quarter-cent sales tax increase to fund mental health and substance abuse programs for children, was winning with a healthy 61 percent of the vote. Nobody could be more jubilant than Kate Tansey, campaign manager for Putting Kids First and clinical director of Catholic Family Services, who praised St. Louis Countians' concern for children.